Networking 101 is here to save the day! Does the thought of networking make you quiver with fear? Does it cause you to break out into a sweat or stress out for days before? Do you worry about what to say, do or anticipate? Worry no more! 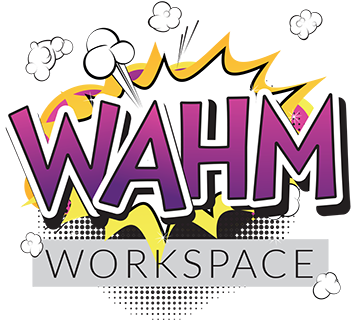 WAHM WorkSpace has the solution! WAHM WorkSpace is providing you with a quick and simple list of 16 points to get you in the right frame of mind for networking! We will follow up the list with a series of emails over a 2 month period to increase your networking brilliance! Networking 101 includes an easy to print, 16 point checklist; as well as a series of emails with detailed information on the aspects of the list that need a little more explanation. Because we hate to spam anyone, you can choose not to receive the follow up emails at any time! So what are you waiting for? Enter your details below and sign up to our Networking 101 series to download your list now! I've been attending various networking events for most of my adult life. Everything from huge, free for all networking meetings, to structured weekly or monthly membership meetings; and every kind of event in between. I've experienced the very best and worst of networking, and I would love to share with you just how easy it is to get networking right. A few key things can take you from terrified to terrific! What does being Brilliant at Networking mean? Being brilliant at networking means that you are more likely to make connections with people that matter when you attend networking events. People will remember you name, your business and what you do with ease. You will feel comfortable in any networking situation! You will find opportunities to share your business information in situations you wouldn't have considered before. You will make more money! People do business with People. Knowing how to netWORK, as apposed to netSIT or netEat, means that you will meet the right people to do business with! So what are you waiting for? Give us your details below and get our easy downloadable checklist and receive the follow up emails to make you brilliant at networking!